While I have always been conscious of my debt, I found myself beginning to be comfortable with it. I settled with the thought that I will always be in debt. All my friends had mortgage size student loans, massive credit card debts, lease cars, and the likes. It became a way of life, what you briefly discuss over dinner, “oh yeah, I’m in debt, student loans are the devil,” and we would move on. Never in a million years (even as a personal financed blogger) did I believe I can become debt free as fast as it’s happening. Let’s talk about belief for a second. I thought I needed luck, a winning a ticket to a lottery, something magical to get rid of all this debt we were accumulating. After reading this book that changed our lives for the better. It motivated us to start paying off debt and fast. This is exactly how I was able to pay off $18,000 worth of debt quickly. As a couple, we owe $73,500. I owe $39,688, YIKES. That number is much larger than I originally predicted. That should help put things in perspective unto how comfortable I have gotten with having debt. That number grew because of the business I invested into and lease purchased I made. This was all before reading the book. While I love our family’s SUV, I probably wouldn’t have bought it if I read the book beforehand, and quite possibly – not invest in the business too. But I utilized a number of tactics to both save money and earn more, which ultimately helped me pay off debt fast. It was part smart personal finance (this book) and part hustling (my blogs, merch, Youtube channel), but, as a result, I was able to make huge payments and clear $18,000 of debt in just a little over 90 days! There’s no secret formula or magic sauce. In order to succeed you have to make the necessary sacrifices. POINT. BLANK. PERIOD. Your decision to get out of debt and your application to that process is the only thing that will determine your success or failure. We made the decision that we want to get out of debt. This step is vital. Calculate how much you owe from the most to the least. Or just use this app, it does all the work for you. Keep in mind to set realistic goals. While some financial experts may suggest a certain percentage to save. To avoid frustration, evaluate your personal circumstances and set goals that are realistic and encourages consistency, and obviously are attainable. Once you have met your first savings goal, increase it for greater results. It wasn’t easy, the learning curve was huge, but, I learned how to make extra income from home. I’ve been truly amazed at how much money can be made online. Many people don’t know about the wonderful opportunities awaiting them out there. Below – I’ve listed a few examples on how you too can join in and make some cool extra income online. Blogging is a great way to make money on the internet. With consistency, and patience you can earn a decent income while working from anywhere! My blog has allowed me to make money from home online. Allowing me to stay home with our children without causing financial stress to our family. I’ve read so many success stories – I honestly believe (blogging) is a real way to make money from home. If you are interested in starting a blog of your own, I created a tutorial that will help you start a blog of your own for cheap, starting at only $3.75 per month (this low price is only through my link) for blog hosting. In addition to the low pricing, you will receive a free website domain (a $15 value) through my Bluehost link if you purchase, at least, 12 months of blog hosting. You can use companies/websites such as Airbnb.com to sign up for and advertise your home. Depending on the area you live in/ how much free room you have to rent, you could earn a nice sum of passive income a month. Many companies will pay you to take online surveys. A simple Google search will take you to several reputable companies. You can make anywhere from $5 on up for each survey. Sadly – we can’t NOT spend anymore while on the journey to paying off debt fast. There are necessary items we need to survive. Food, shelter, and the likes. Since we have to buy. Why not buy and make cash back? Remember, “mail-in rebate programs?” No? Me neither. Well, there’s a new kid in town, and she’s here to stay – online rebate programs is that + more. Popular rebate sites such as Ebates and BeFrugal are changing the game in terms of saving by making some money while shopping. The best part – there’s no mailing in or hoping they received your rebate and crossing your fingers that it wasn’t lost it in the mail. I’ve made hundreds of extra dollars using Ebates, and the likes. Which I used to make extra payments on my car loan and credit cards. I use coupons or cash back apps, like Ibotta or Walmart Savings Catcher to save money, A LOT. Most stores now have digital coupons that you can load on their store rewards cards which makes using coupons super easy. When you’re at your favorite grocery stores, clothing stores, or restaurants you can easily earn cash back for purchasing the stuff you use on a regular basis using the Ibotta app. There is a plethora of information available on financial topics. Reading books, blogs, and networking are great ways to get educated about financial matters. In addition, many educational and financial institutions offer workshops specifically addressing the needs of those who wish to become more financially savvy. This was a huge turning point and eye opener for us. The knowledge we’ve gained from these books is the reason why we’re able to find ways pay off debt fast. 7. I Limit Dining Out! A person who dines out for lunch can expect to spend an average of $8.00 to $15.00 per day. This may not seem like much, but it tends to add up over a 5 day period. In fact, you can expect to spend an average of $40.00 to $75.00 per week. By the end of the month, you would have spent $300.00 on lunch–alone. Think of this in terms of saving. If you save this same amount within a year, you can have $3,600.00. Here is an alternative; prepare and bring your lunch. Not only is this a healthier, but it helps you to save more! Simply creating a budget that tracks all income and expenses. My budget forecast my current and future spending. In addition, it helped me gain greater control over my finances. 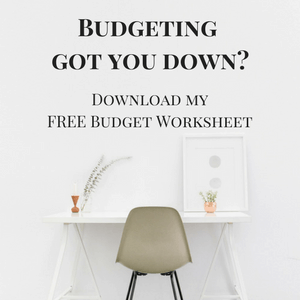 Although there are many sophisticated budgeting worksheets available, I recommend starting simple. You do not want to become overwhelmed or spend extra money developing a method you are unable to maintain. Instead, you may consider downloading an app online. We use the free app Personal Capital to track our monthly spending. Your account balances are updated in real time! 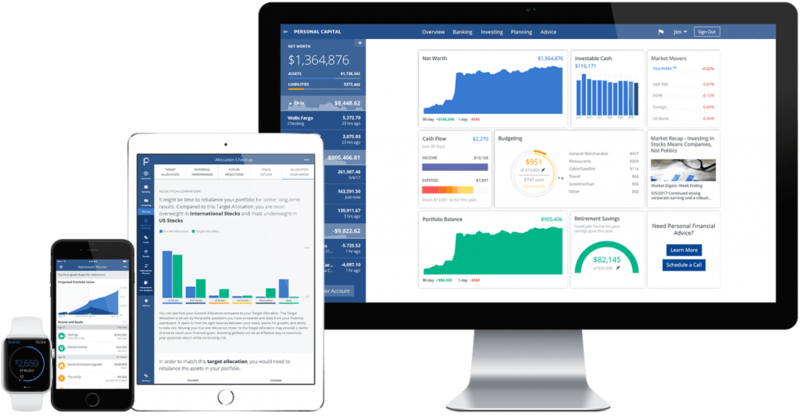 Personal Capital is the smart way to track and manage your financial life. We absolutely love it, having all our accounts in one area. We’re able to track our net worth and day-to-day budget needs. Ever heard of the cash envelope system? No? Okay – The cash envelope system is a Dave Ramsey inspired method of budgeting. It’s easy to start. First, make separate envelopes for expenses at the beginning of the month. You can have envelopes for ‘transport’, ‘food’, ‘entertainment’, etc. and put cash in them of how much you think you should spend on each. Spend only what’s in the designated envelope. If you have leftover cash at the end of the month, (good for you) put that money aside and save it for future emergency expenses. There’s something about parting with cash that makes this method useful. We’ve recently switched over to the cash method and we are loving thus far. If you were the few who answered YES! Great! Did you know it’s possible to do an online envelope system? Yep! A cashless cash envelope. By utilizing multiple bank accounts online, you can assign clear goals for each account and best part have them ALL out of sight. So, no double dipping. No unexpected Target run. None of that. 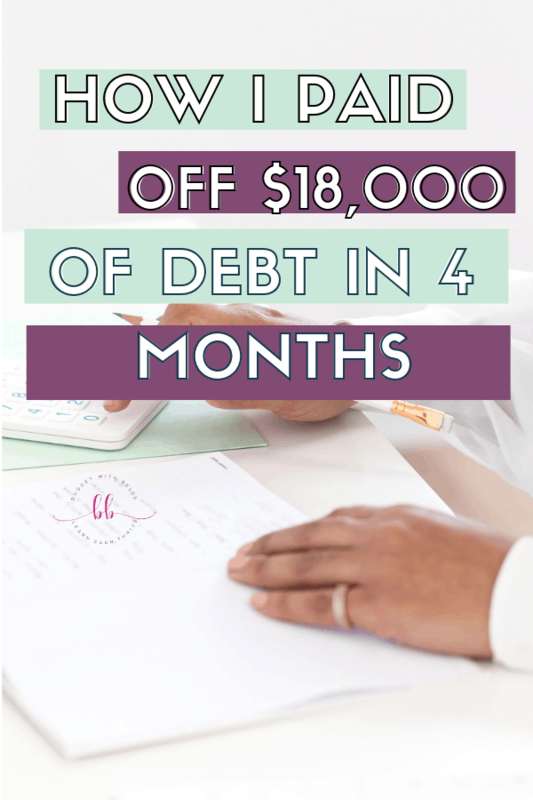 Look into getting a balance transfer debt consolidation credit cards (I know, hear me out) because this can be a great way to manage and pay off debt early. With this type of credit you will be able to make one easy monthly payment because all of your bills will be rolled into one loan. Make sure that you negotiate the amount of interest you are paying for this loan. I was fortunate enough because of my okay credit, an offer was made to me that I couldn’t pass by. Interest FREE for 18 months. I transfer the balances of the credit card with my highest interest and killed that cycle of revolving debt thanks to the interest. My 18-months ends this May 2019, and I have a small balance remaining to pay off the card. When we decided (August 2018) on becoming debt-free. We committed to the task of getting rid of our debt and living a debt-free life. The first major step we took was getting crystal clear about not purchasing anything with credit for the time being. It has been hard. It makes you realize how much you depended on credit cards. If you are trying to do the same, be sure to ask yourself a couple of questions before you buy anything. When you are making a purchase, avoid using your credit cards. Pay with cash. Continuing to use credit cards will only delay your ambitions of becoming debt free. Rule of thumb – if you cannot pay cash for it, do not buy it. Bottom line, getting out of debt isn’t easy, but with some sacrifice, hustle and creative thinking, you can pay off your debt faster than you think.